Tough Mudder is coming to Whistler yet again June 20-21. It’s not just a race, but a mental and physical challenge designed by British special forces to take you through mud, fire, ice-water, and 10,000 volts of electricity. Whether you’ve done it before or this is your very first time at tackling the mudder – you’ll need to be prepared. 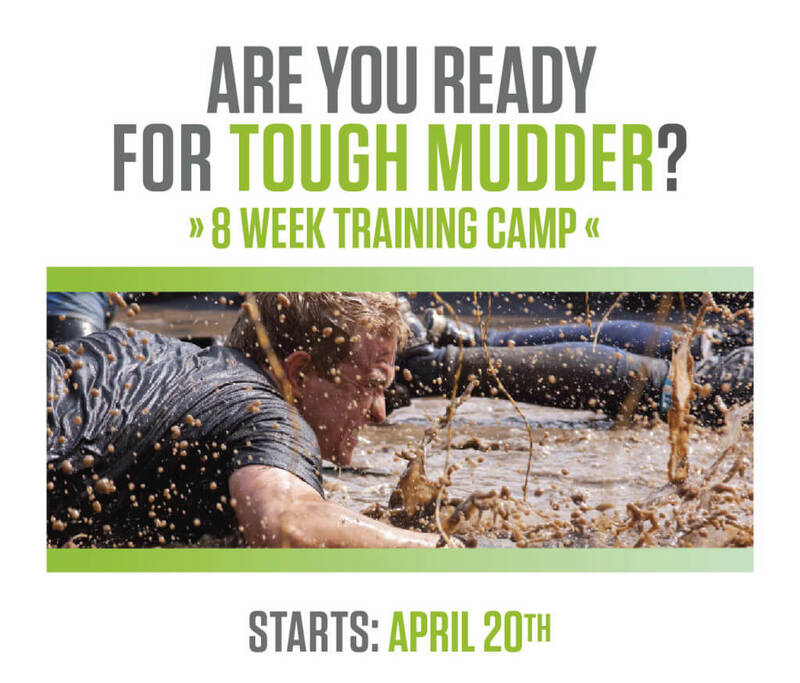 Join us for our 8 week Tough Mudder Training Camp beginning April 20th. This program is designed with the end goal in mind: to get your body and mind geared up for what’s to come by using simulated training. Secure your spot early by clicking the links above or by contacting the front desk (schedule@kalevfitness.com). Whether your goal is to complete the Tough Mudder this year or just get in the best shape of your life, this is the training program for you. Our team of specialized trainers have put together a unique program that incorporates plyometrics, strength training, cardiovascular training with team-building and Tough Mudder-style exercises that are challenging and fun. You’re guaranteed to be stronger, faster and tougher by the end of this 10 weeks. Picture yourself at the starting line with your team, feeling stronger than ever and ready to overcome the toughest event on the planet. We can get you there.